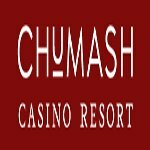 Chumash Casino resort have confirmed a Def Leppard show in Santa Ynez, California for 30th October. The concert is at the Chumash Casino Resort venue and tickets go on sale 28th August. This show was briefly announced on 15th August and has now been confirmed by the venue website. This is another of the "weeks worth of shows" mentioned by Joe during a recent radio interview. The venue has a capacity of just 1,400.